We’ve covered the beauty of the Berkshire Mountains on here before. It is one of our favorite places to visit in New England. And in fact, our piece on the abandoned Great Barrington Fairgrounds and the efforts tor revive it has been one of our most popular articles this year. It is place of wonder and beauty. It is home to the true spirit of New England. The sleepy little communities can be so peaceful, yet so alive at the same time. There has been quite a history up here in these mountains. Bridging between Connecticut, Massachusetts, and New York, this mountain range is one of New England’s best kept secrets. And frankly, its’ better that way. But amongst it lie a few places that many have forgotten. Lost amongst the woods and the memories of the community, one such place is the Aspinwall Hotel. The luxurious Aspinwall Hotel was built in the early nineteen hundreds by a wealthy businessman. Located in Lenox, Massachusetts, the hotel attracted guests from all over the world. It hit great prosperity over the years while being located in the heart of the picturesque Berkshire Mountains. Not even the Great Depression could slow down the popularity of the hotel, as it expanded to over 400 acres. But all of this wondrous success was to be short lived. Much like many great hotels of the era, the Aspinwall was struck down. But not by financial hard times, it was tragedy. In 1931, before the season had even begun, a great fire was started. Before help could even reach her, the once great hotel succumbed to the flames. She never rose again. The land was then sold off to the town of Lenox in 1956, and proclaimed a national park. To the untrained eye, this appears to be nothing more than a scenic recreational area. But if you look closely throughout the woods, the signs of the hotel are still here. It starts with rogue rock walls that look like they used to be apart of something larger. But as you continue down the trail, things get even more interesting. Old wells and fireplaces stand at random parts of the forest. Lamp posts can still be seen on a few trees. Large pieces of scrap metal lie amongst the brush. And in a few sections, massive stone foundations and pillars still stand. Old water piping can still be seen protruding from the earth. These are the last pieces of infrastructure from the former 400 room hotel. Though they are now covered with moss, they are some of the soul survivors from the vicious fire that claimed the Aspinwall Hotel so many years ago. This is more a piece for the hikers. Much like our previous installment, you will find no abandoned asylums or haunting structures here. It is a nice hike indeed, but hidden all over the woods are the ruins of this former New England hotspot. Take a walk off the beaten path in Kennedy Park, and you can find a place that few remember and even fewer still appreciate. Pale beams of sunlight peak through the gnarled trees. The earth is soft and fertile. The grass grows thick and green. And as the wind whispers through the undergrowth, the ghostly aura of the Aspinwall Hotel still haunts the woods. It is hard to believe at times that some one hundred years ago, this now wild woodland was one of the most popular and prestigious hotels in all of the region. But, as we all know, time is unforgiving beast. All of the pomp, circumstance, and grandeur is now gone. All that remains are the ruins. I have always hated seeing animals in cages, for as long as I can remember. Few things in life make me sadder than that. As a kid, I never liked going to the zoo or even the aquarium. Whereas most children found seeing the animals to be quite a fun and exciting experience, I felt only despair. Seeing what was once a wild animal trapped inside a cage always brought about feelings of sadness and anger. I can’t really explain it. I mean, not all cages are bad. Zoos aren’t the only ones to keep animals in cages. Animal shelters and rescue facilities keep their residents in cages, but for better reasons. Healing of injured animals or protecting endangered ones are a noble task indeed. But still, the thought of freedom being taken away is a dark one. And the image of cage can be a frightening one, especially when its been abandoned for many years. Our subject of this piece is a peculiar one: the abandoned Shade Swamp Shelter in Farmington, Connecticut. It is a far cry from most of the pieces we have done on here. First established in the early 1930’s, the purpose of the shelter has varied over the years. The rustic log shelter that has since become its signature was originally designed and built by the historic Civilian Conservation Corps. It has ranged from being a roadside attraction to being a wildlife sanctuary. One of its nobler pursuits was being home for wildlife rehabilitation. The sanctuary was based in the Shade Swamp, and featured a variety of enclosures for injured wildlife. It sadly went under during the 1960’s, and has been more or less abandoned ever since. A stroke of luck, however, came in 1986 when the shelter was officially listed in the National Register of Historic Places. We made the trek to the abandoned shelter in the waning days of summer 2016. The heat was beginning to die down, and the first glimpses of the fall season were just sprouting up. Sitting alongside the heavily trafficked US 6 North, the Shade Swamp Shelter is not difficult to find. It is almost hard to believe what is hidden back there when you first see it. The area surrounding it is teaming with traffic, busy intersections, and office buildings. But here in the swamp, everything is quiet. Upon arrival, there is a small pull-up spot where a few cars can be parked. Luckily, we were the only visitors there that day. You are then greeted with the old structure of the shelter itself. Though it has clearly been taken care of, there is also sadly evidence of vandalism and a recent fire inside of it. Given its age though, I’d say she looks pretty good. But it is further down the trail that the true hidden gems of this place lie. A short walk down the winding and nearly overgrown nature trail, we found the cages. Rusted to all Hell and in varying ranges of decay, there are nearly two dozen large pen cages lining either side of the trail. The ones on the right side are smaller, and feature stone dens at the back. The ones on the left side are much larger and have blue painted exteriors. Off the beaten path there is one bigger enclosure that is far different from the others, and was in the worst shape. The rusty fence is still up in a few places, and a few gagged pieces of metal are still nailed to a few of the trees. Be careful where you step. The trail will lead you further into the swamp, but circles back in one big loop. After the cages, you will find a few old relic from the sanctuary’s heyday, but nothing truly of note. The strange aura and mystique of these large abandoned enclosures are enough of a sight to see. You can even set foot inside a few of them, if you are brave enough. What is it about cages that make them so unsettling? Is it the thought of being trapped with nowhere to hide? Or is it something more? Perhaps the very notion of that precious freedom that we all seem to take for granted being taken away is what makes them so unsettling. Anyhow, the abandoned Shade Swamp Shelter is a great visit for anyone looking for a good hike and adventure seekers. There are no abandoned buildings or asylums here: just the remnants of a place long forgotten. It literally sits a few meager yards from a hustling and bustling community. But everything is silenced by the aura of the swamp. Chipmunks and birds roam freely here, making their homes into these old enclosures. Their world is seemingly untouched by ours out here. And though these cages now sit empty, they stand as a grim reminder of what was and what could have been. I honestly never thought I would be quoting the Bible on this blog. I am not a religious person, and frankly this is not a religious piece. It is just a story about something weird we encountered in our travels. Over the years, we have seen and experienced many strange things exploring abandoned places. Things like whispers in the dark, unsettling feelings, and random waves of energy have all come to pass. But this was one of the more special cases. It happened on a late summer afternoon. It was your typical lazy Sunday, and a day that we had decided to visit our old friend Mansfield Training School. Since we visit Seaside Sanatorium every summer, we thought it might be nice to document this abandoned hospital annually as well. But what we found that day was a bit strange. It could all just be harmless fun, but it was just a little too weird for my taste. Now, we have already done one piece on the abandoned Mansfield Training School. You can find it here on our site if you want to know more. We will also be putting out an entirely separate piece on our return visit in the coming weeks. This piece stands on it’s own. Rather than talking about the history of the abandoned hospital once again, we shall be covering something different; Saint Mary. As the mother of Jesus Christ, Mary is one of the most prominent and well known saints of the entire Christian faith. It is believed that the Virgin Mary bore the son of God, who would go on to die for our sins on the cross. Statues, paintings, and stained glass windows bearing her image can be seen today all over the world. She has also claimed to have been seen and involved in many “miraculous” incidents throughout history, many of which still go unexplained today. And this case is no exception. On our first visit to the abandoned Mansfield Training School one year prior, we had discovered a ghostly statue of Saint Mary in the basement of one of the buildings on the far east side of the complex. On this day, we found the exact same statue standing at the gates to a different building on the far west side. She had been moved. Whereas once she stood guard below ground, she was now warding off any intruders from entering this new building. And we did double check old photos and the building we first found her in: it is indeed the same statue. Odds are, some college kids from the neighboring UCONN moved her as a prank. But still, maybe something else was at work here. The grounds are known as paranormal hot spots, and hauntings are said to be a regular occurrence here. Is this just some silly prank? Or is there something more supernatural at work here? Perhaps it’s all just a coincidence. But then again, perhaps it isn’t. Please check out our new video on the abandoned Seaside Sanatorium! 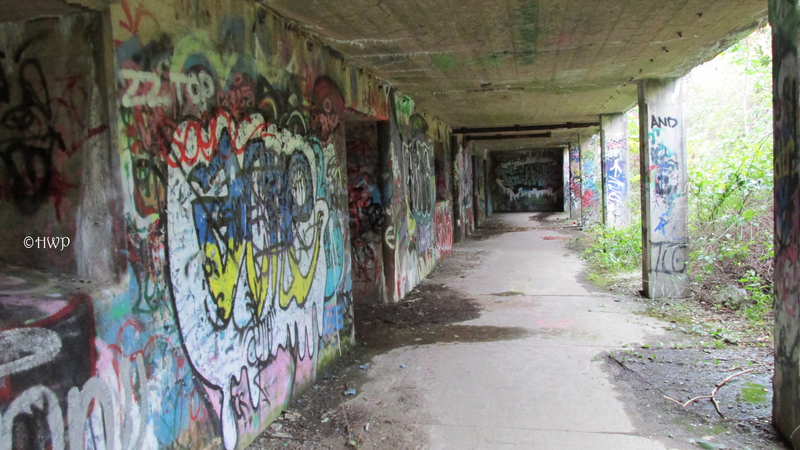 If you are going to visit one abandoned place this summer, put Seaside Sanatorium on your list. Over three years ago, we visited an abandoned landmark along the white sandy beaches of Cape Cod – Bates Motel. It has stood silently amongst the bustling vacation community of North Truro, Massachusetts, for over two decades. It’s origins are a mystery. Nobody anywhere seems to know just what this place was or how it came to be in its present state. We wrote a piece on it about a year ago, and it went on to become one of our most popular articles. A few weeks ago, while on vacation in Cape Cod, we decided to stop by to see how our old friend was doing. Let’s just say that the years have not been kind to the Bates Motel. Where once rusty old padlocks kept people out of the rooms, not everything is boarded up. The windows. The doors. The office. Everything. The tall seagrass has grown wild and uncontrollable. The pavement of the old parking lot lies in jagged chunks mixed among the scorching hot sand. The gulls still soar overhead, cawing at the misery of this sad place. On either side, happy vacationing families pay no heed to the Bates Motel. They simply ignore it, like a stray dog lying wounded in their summer paradise. We don’t break in to places. We never have, and we never will. But someone, or something, had broken into the Bates Motel before our visit. The old plywood covering the maid’s closet had been busted open, so we popped in to take a few pictures. While it was damn near pitch black inside, plenty of stuff has been left inside. Small beams of sunlight peaked through the cracks in the wooden planks. We even found the entrance to the basement, but it was much too dark to get any good photographs. Though we were unable to get inside the office, plenty of furniture is still sitting in there as well. It is almost as if Bates Motel just up and closed one day. Never to re-open. Our first visit to the abandoned Bates Motel was much like the first film in a great horror franchise. It was shocking, fascinating, and highly recommendable. Our second visit was much like the sequel. While it was unavoidable, it was much darker than the original. It was much like Psycho II: it left us feeling like we had never come back, that we could just remember the Bates Motel how it was. The slow rate of decay on this place is a bit depressing. The place looked like it was about to just collapse in on itself at any moment. Will there be a Part III for us at the abandoned Bates Motel? Only time will tell. We usually don’t cover abandoned houses. There is just not a whole lot of interest in them anymore. They make for good pictures, sure. But we almost never find a story on them. And frankly, we don’t get many hits on our social media accounts when we cover abandoned houses. I can put whatever fancy title I want on the article, and Amanda’s photos are always fantastic. 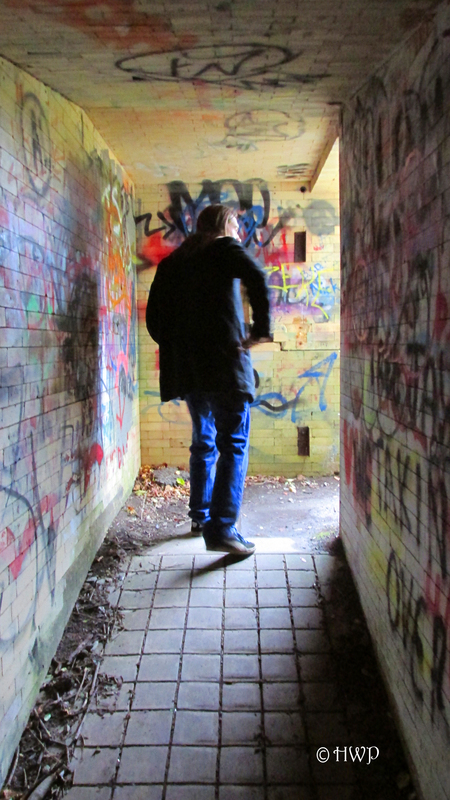 In these days, the golden age of urban exploration seems to be waning. Gone are the landmarks such as Undercliff Sanatorium and Sunrise Resort. The legendary places have crumbled away, and the newer ones are eaten alive by vandals much faster than they used to be. It is an ever changed market, and we as explorers must do our best to keep up with these changing times. But for some reason, abandoned houses are never really popular for us. Why is that? Maybe it’s because there are so many out there. Maybe it’s because so many people cover them. Or maybe it’s because a good story is what makes it important. Well, friends, I have a story for you. And it all began in the bustling town of Mystic, Connecticut. I’ve lived in Connecticut my entire life. But while writing this piece, I found out that Mystic is not an actual town. There is no municipal government, because it is actually a village that is apart of both the towns of Groton and Stonington. The separation lies at the Mystic River. A fun fact, indeed. Mystic has been historically significant throughout the existence of Connecticut. It was at one time one of the largest seaports in the region, first settled in the early days of the colonies. And history is still very much apart of their culture. The Olde Mystic Village and Mystic Seaport are big tourist attractions in these parts. I even had a small role in a movie called “Freedom” filmed at the latter, starring Cuba Gooding Jr. The community is one of the most well known shining stars of our state. But that doesn’t mean that it doesn’t have it’s dark side. When a place has as rich of a history as Mystic, they always have a few shadows in the corners of their past. Many old buildings and establishments are known for being haunted by the spirits of the past. Are they just legends? Or is there something more here. To be perfectly honest, we have found no information on this place. There were a couple of photos of it online, but other than that we found nothing. All we have been able to gather is that this old farmhouse is believed to be very haunted. And frankly, I can see why. It is ramshackle, almost reminiscent of the Shrieking Shack in Hogsmeade village. Clearly she stands from a bygone era. Ancient plywood covers all of her windows and doors. 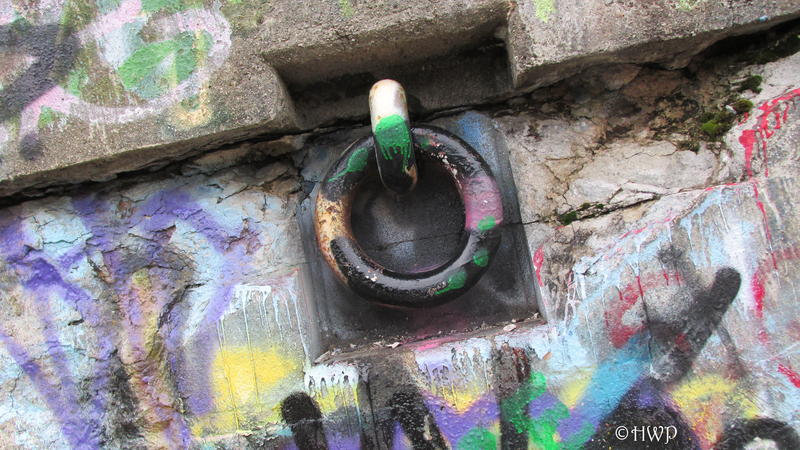 We thought for a moment that this place might actually be relatively untouched by vandals…until we found The Dungeon. In the far back of the house, past the fallen outer wall, is the gateway. Eerily inscribed in spray paint above the threshold states “No Turning Back.” And rightfully so. For inside this basement, which has be coined as The Dungeon, is a black hole. There is an emptiness and sorrow inside this pit of despair that is indescribable. All manner of trash is strewn about, but the presence in the air is as dark and foreboding as a cloudy midnight sky. It is almost as if something is telling you to get out now. We didn’t stay long. The floors of the upstairs creaked and shook so much that we didn’t do much walking around. The smell here was also unimaginable. If you’ve ever explored an abandoned place, you know how bad the smells can be. Well we’ve explored more abandoned places than we care to remember, and none have had as foul of a stench as this place. To be honest, I wish we could find more information on it. Because there is certainly a presence to be felt here. It almost felt like walking into another dimension. Outside was a bustling apartment community. But inside, it was silent as the grave. Shadows crept around the corner. And sunlight only managed to peak through a few cracks in the heavily boarded up windows. Whomever once lived here is long gone. But something still lurks inside these darkened halls. And it does not want to be disturbed.